The Dutch gables incorporated into the roofline of the Langton give it great street appeal. 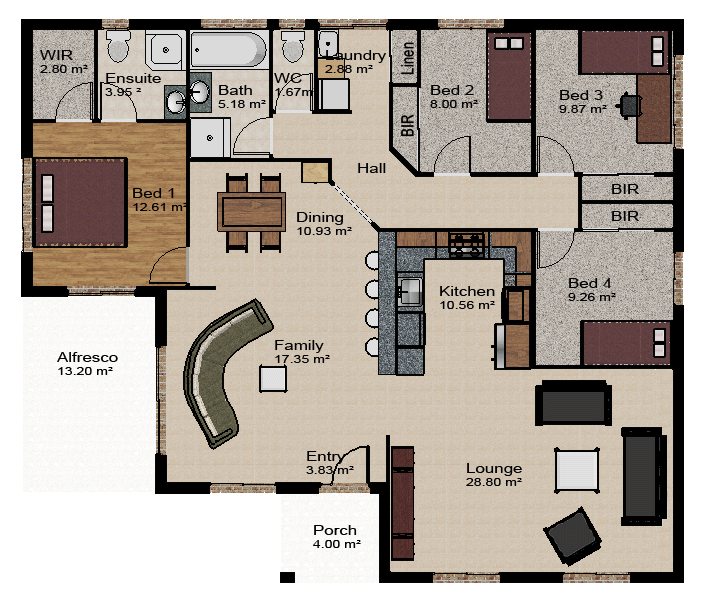 This neatly designed 4 bedroom with ensuite is a popular design for families and first time home buyers. The kitchen has plenty of servery area and a breakfast bar. The lounge area is only slightly sectioned from the Family and Dining area to give the feeling of open living space. The main bedroom is separated from the rest and has ensuite and walk in robe. Enjoy relaxing in the alfresco area with a wine and cold beer.